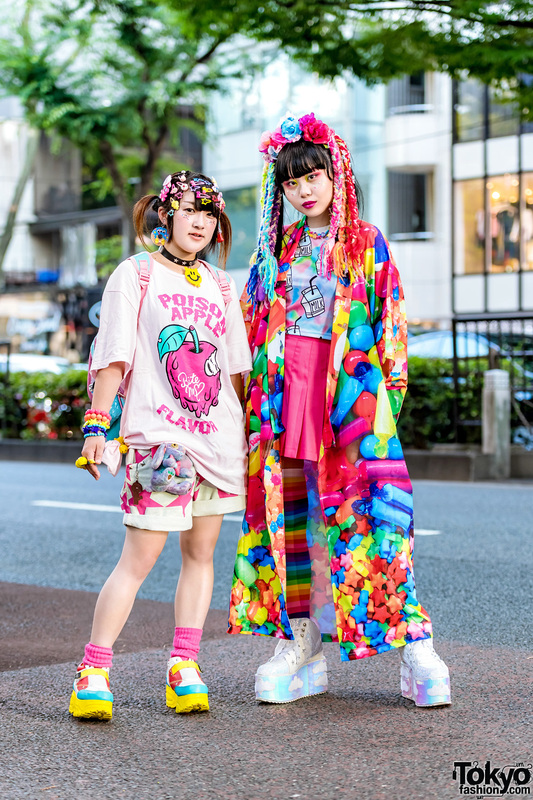 Harajuku girl wearing a rainbow shirt, ruffle skirt, platform sneakers and a Disney Princess backpack. 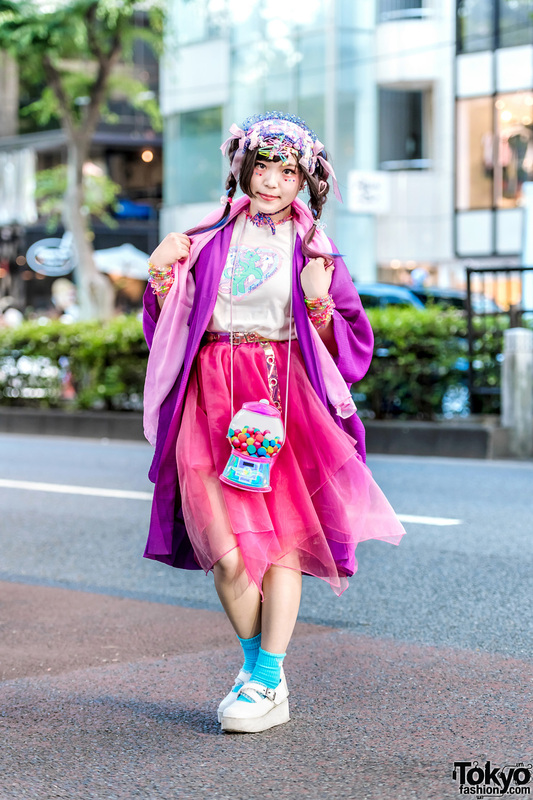 Harajuku girl sporting two-tone hair and psychedelic fashion while out on the streets. 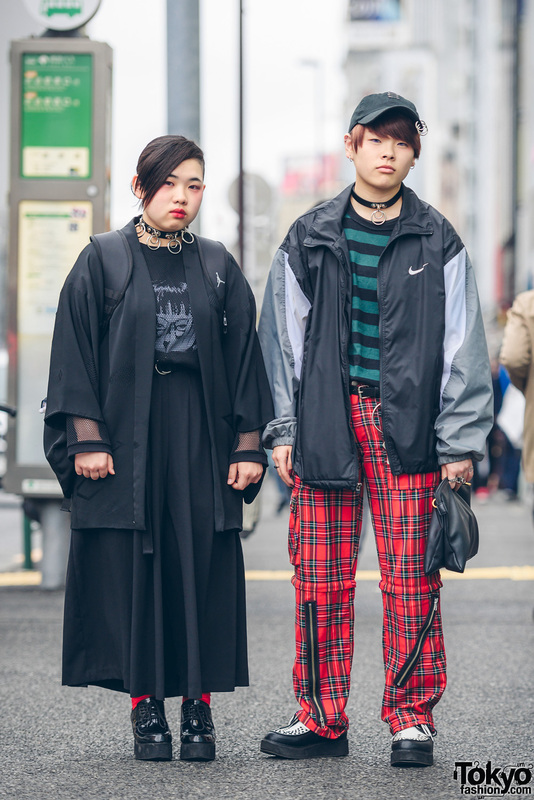 Harajuku students in all black and mixed prints fashion with kimono coat, t-shirt & wide leg pants, platform booties and backpack, striped shirt, plaid zipper pants, two tone jacket, creepers & leather clutch. 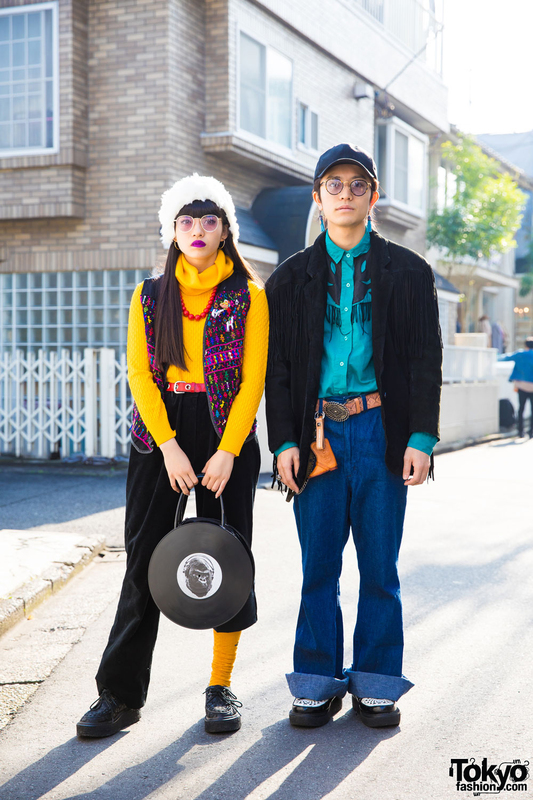 Harajuku duo in retro street style fashion with cowboy shirt, cuffed jeans and fringe jacket, and turtleneck top, black pants and colorful vest.